The new Mastery Range from AEG works with you in unique ways to take your cooking to the next level. Every appliance ready to play their part, working in harmony and instantly responding to your second-by second commands. Now, for the first time, you can even tell the oven how you want your dish cooked – using just the words you would in a restaurant – rare, medium, well done. Or play with a hob where the entire surface follows every pan you move, no matter how big or small. It’s time to expect more from the way you cook. Step into the world’s most responsive cooking experience. Maestro, your kitchen is waiting. AEG believe that a hob should look as good as it performs. 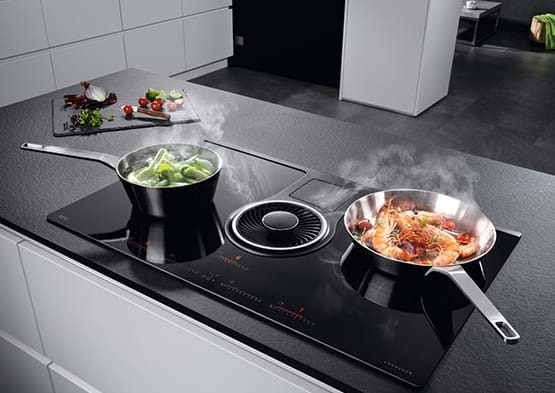 Which is why all of their induction hobs are designed not just to bring out the best in your cooking, but to also look fantastic in your kitchen. 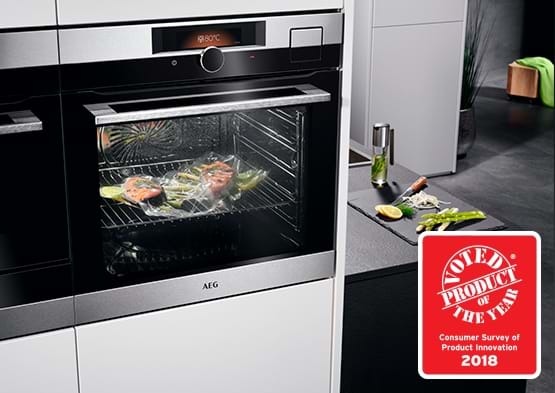 However you like to cook and whatever your favourite dishes, there’s an AEG oven that’s just right for you. Featuring intelligent technology, every oven makes it effortless and enjoyable to create great tasting food, exactly the way you like it. Flavour is all about freshness and storing ingredients – the right humidity and temperature is vital. 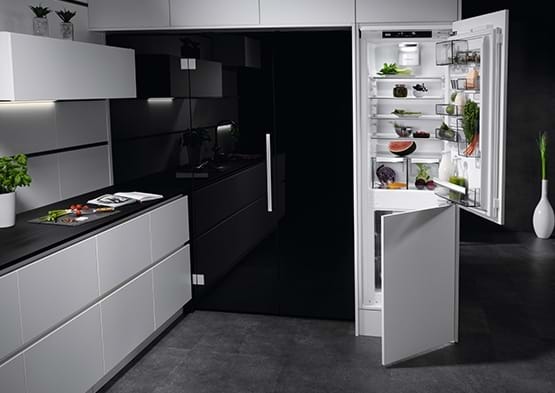 But how do you want your fridge arranged? AEG have a solution which lets you decide. Everything and anything fits in perfectly for long-lasting flavour, while maintaining energy efficiency, protecting your environment and your budget. 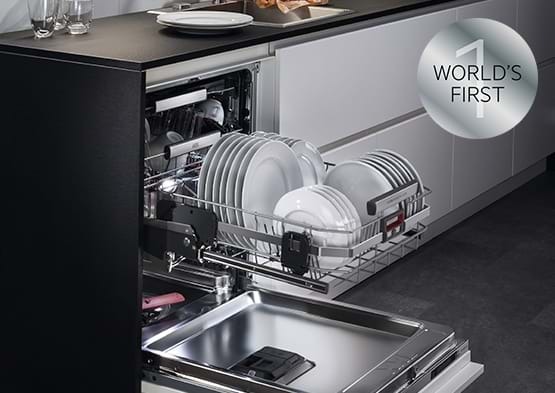 With AEG dishwashers, you can be sure that your range of tableware can be cared for in the most efficient way. The ComfortLift dishwasher is the first of its kind to gently slide the lower basket for easy, ergonomic loading. That means less bending down, making life more comfortable. Your cooking environments need to be fresh, bright and peaceful. 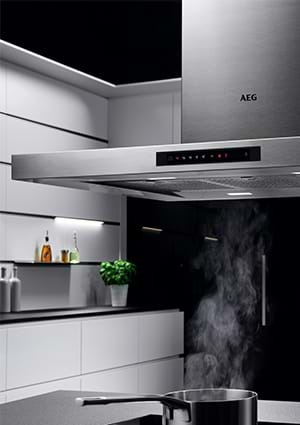 AEG hoods use advanced technology to ensure that your cooker hoods give you the optimum combination of high-end design and powerful functionality. Trust AEG to keep your clothes feeling like new – even those one-of-a-kind pieces that are more than just fabric. 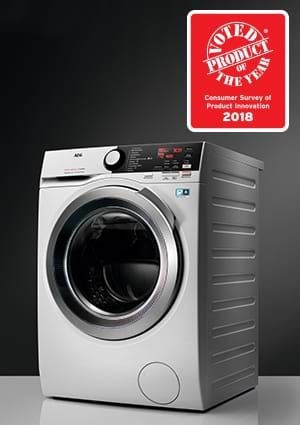 AEG laundry machines provide incredible gentleness and superb washing and drying results so you can wash and dry – without fear. 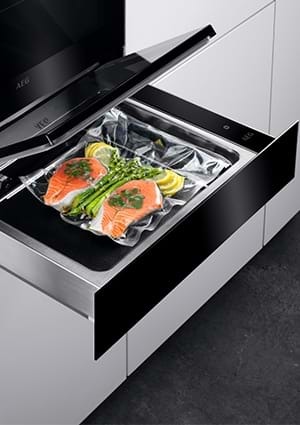 Seal your ingredients, marinade and seasoning in a vacuum bag and cook using sous vide to create incredible flavours. Or keep every dish warm until the moment of serving with one of our AEG warming drawers. 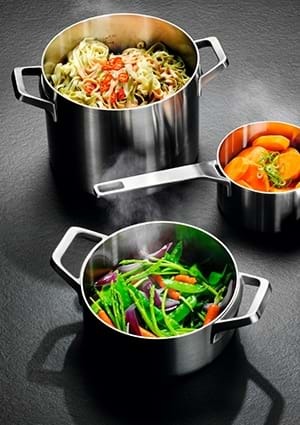 Driven by exclusive insider knowledge, AEG’s range of high performance cookware is designed to harness the power of their technology to bring out the best of any ingredient and to make the most of your appliance.